Our lives are full of seasons. I'm surprised that I've lived through a couple hundred of them. Like all seasons, one eventually gives way to the next one. Whether that next one is early or late, hot or cold, we usually know when it's time to yield to a new phase of life. Things look different. They smell different. They touch you differently. It's just as beautiful as before, but in an entirely new way. We sometimes welcome; we sometimes resist these changes. But the changes come any way. 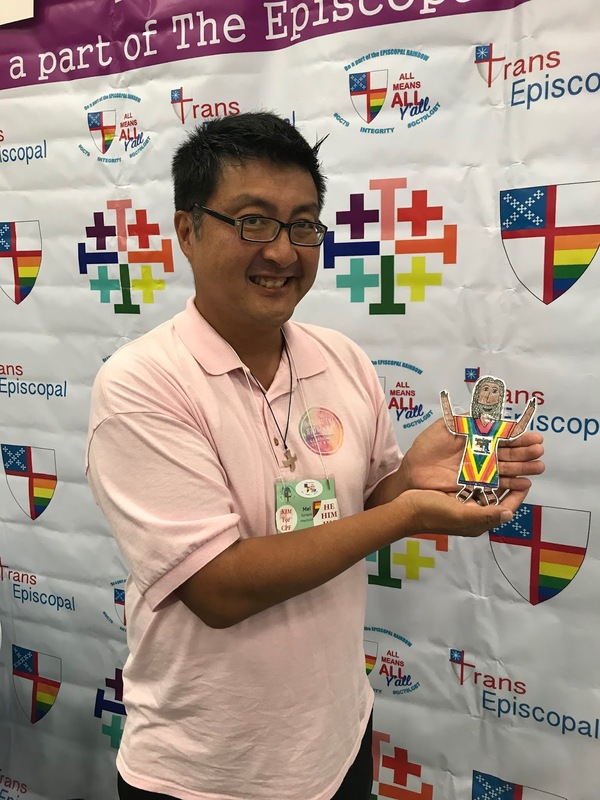 So what was it like for five rounds of 525,600 minutes as a board member of Integrity USA: The Episcopal Rainbow? I'm glad I could contribute, in my own way, in my own time, to the body of work that bends the arc of history towards justice. I forget that I've done this sort of thing most of my life. It's just me being me, doing what I can, if I can, if I'm able. What matters to me is that I at least pitch in, lend my voice, offer my prayers, and most importantly help others to find their voice. It's obvious that there's still so much to be done. And there always will be. The OT prophets lived a pretty long time ago, and somehow their calls for justice still ring true today. There's no magic pill that society can swallow to make it all better. We've got to be in it for the long haul. We've got to help our youth, our transgender siblings, our friends and family in LGBTQ-resistant churches and dioceses. And, yes, we've got to address the racism and misogyny within our own family. And there's also a time for rest. For restoration. We need a Sabbath whether it's full retirement or simply finding space to breathe. And while doing so, we give other voices a chance to be heard, to inspire, to bring new ideas. So as my second term ends as the Director of Communications at Integrity, I look forward towards attending to some of the other ministries that also feed me. My heart is swayed by the Holy Spirit to spend even more time with lay pastoral visits and participation in diocesan Asian ministries. And I'm looking forward to doing more Camino de Santiago pilgrimages in Spain and Portugal, and blogging about my spiritual journeys on my Let All Who Are Thirsty Come site. And... I'm eager and curious to see where God leads me tomorrow. But most of all I'm grateful. Grateful that, even though so much needs to be done, I've been exposed to some amazing people who share some of my passions, who speak out as modern prophets, who feel the pain of those who struggle every day. I've grown much working with three Integrity Presidents: Caro Hall, Matt Haines, and Bruce Garner. I am thankful that my journey has allowed me to walk alongside these amazing people and to meet so many living saints. They've helped me measure my life in love, my seasons of love. 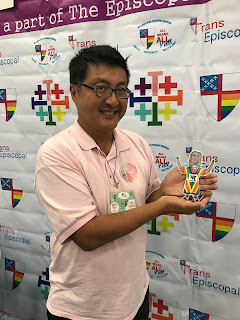 I pray that Integrity USA, the Episcopal Rainbow, will continue to be the shelter as well as the light for LGBTQIA+ in the church. I'm excited by the vision that the Rev. Gwen Fry will bring to the organization as the incoming president; I have great trust in the new incoming Director of Communications, Letty Guevara-Cuence; and I'm confident that the new Board will speak for all of us. May God lift up our leaders - past, present, and future - giving them strength, granting us all wisdom, and blessing us with a place at the table. You can read the original blog posting on the Walking with Integrity blog site.